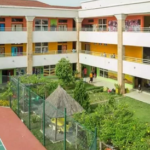 If you reside in Lagos and you are looking for the ideal school for your child, there are schools in the Ikeja area that should be top on your list. In this post, we’ve drilled down to the top 5 schools in this part of Lagos based on the quality of education provided. Named after the founder, Chief Mrs Leila Fowler, this Ikeja based school was established in 1991 with the objective of promoting the advancement of women through quality and functional education. Vivian Fowler (VF) College is a supportive community of individuals with a passion for excellence. 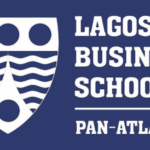 It offers a balanced education which develops students’ personal qualities to enable them to cope with life in universities both in and outside Nigeria. The school is a girls’ only and this was an intentional design by the founder in order to reduce the possibility of bias in the choice of subjects and careers. Also, it raises expectations, develops a wider variety of leadership opportunities and balances a disciplined work routine with an enjoyable social life outside the classroom. VF helps to prepare students for their university education which could either be in Nigeria or anywhere in the world. Typical, the academic education at Vivian Fowler takes six years and it is made up of three years in Junior Secondary School followed by three years in Senior Secondary School. Also, classes are offered in English language, French language, Yoruba language, and Igbo language. At the Senior Secondary School, the tutors help student focus their preparation on three main examinations: the West African Senior School Certificate Examination (WASSCE), the International General Certificate of Secondary Education (IGCSE) as well as the SAT and the Test of English as a Foreign Language (TOEFL). 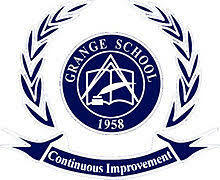 Founded in 1958, Grange School is one of the oldest private schools in Lagos. It is a top notch school with day and boarding facilities. The school was established by a group of British expatriates with the goal of providing education of equivalent standard to that which obtains in the UK. 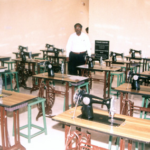 The school was solely a primary school for the first 40 years but in 1998, the school added a secondary school for continuity and stability in the education of the pupils. 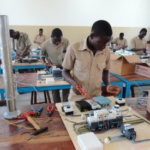 The secondary school prepares student for the IGCSE (International General Certificate of Secondary Education) which is under the auspice of the University of Cambridge Local Examination Syndicate (UCLES). The population of students in Grange School is estimated at 430 girls and boys in the Primary Section which is from Reception class to Year 6, between the ages of 4+ and 11 and 326 pupils in the secondary phase being, Year 7 to Year 11, between the ages of 11 and 16+. The School Policy maintains a class size of 14-20. Grange is one of the school that encourage students’ participation in charity events as well as other extra-curricular activities such as chess, arts and crafts, swimming, tennis, football, and basketball. Avi-Cenna International School is an independent, non-denominational day and boarding school for boys and girls from age 2 to age 18. 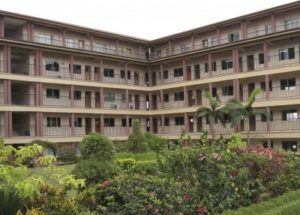 The school is also located in Ikeja and it is a thriving community of students that are fully engaged and eager to learn. One of the most notable features in the Avi-Cenna atmosphere is the happy children and young adults going about their business in a purposeful manner. The school operates as a family and the relationship between staff and students is exceptionally warm, built on trust and mutual respect which is a good starting point for a fine education. The school boasts of students from scores of countries. This diversity exposes students of the school to cultural differences and prepares them for their journey in a world that is becoming increasingly a global village. The teachers at Avi-Cenna are passionate about what they teach and are strongly committed to the ethos of continuous improvement; always striving to get the best from their students and to provide an academic education of the highest possible standard. The school was founded in 1989 and the focus of this institution is to promote moral and ethical values with the view of developing interpersonal and leadership skills of her students. 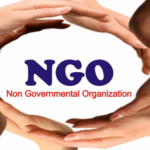 Founded in 2011 by Mr and Mrs Jide Babalola in Ikeja-GRA, Lagos, the school was set up with aim of preparing children for important roles in the development and growth of the society and country at large. Over the year, Grenville has been able to achieve this goal by producing individuals that are academically and morally sound in preparation for becoming a responsible and caring citizen of Nigeria. The classes at Grenville are thoroughly equipped with the state-of-art technology and staffs and have been selected to fulfil this vision through both experience and continuous training and up-dating of their knowledge and qualifications. 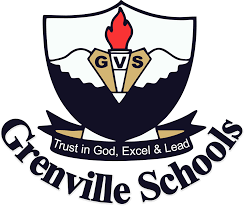 If you’re looking to enrol your child at Grenville, the school holds various entrance exams during Christmas, Easter break and in the summer period. Additionally, by special arrangement, your child may be allowed to come for an interview which may involve taking a specifically set of papers and assessment by the tutors likely to teach the child. The school recently included boarding facilities which enables it attract children from Nigeria and other parts of the world.. Established on the 1st of September 2004 to provide high quality integrated early years services (0 -5 years), Bambini is a school that provides standard and culturally enriched education for children in the elementary school age of 5 – 11 years. At Bambini School, the whole personality of each child is nurtured through a balanced and broad curriculum that helps develop the unique personality of each child, thereby developing skills and required knowledge for later Learning. The Nursery Section is situated at 22B, Ladoke Akintola Road, Ikeja, G.R.A, Lagos and Primary Section at 17, Ayoola Coker Road, Ikeja G.R.A Lagos. The school is open at 8:00am and close at 1:30pm daily. In addition to the regular school hours, Bambina also offers an “After Care” service between 1:45pm and 5:00pm to satisfy the needs of working mothers who require a homely and safe environment for their children, while they are at work. Although Bambini is a Christian School, it also welcomes children of other Faith as long as their parents do not object to them being taught Christian values.